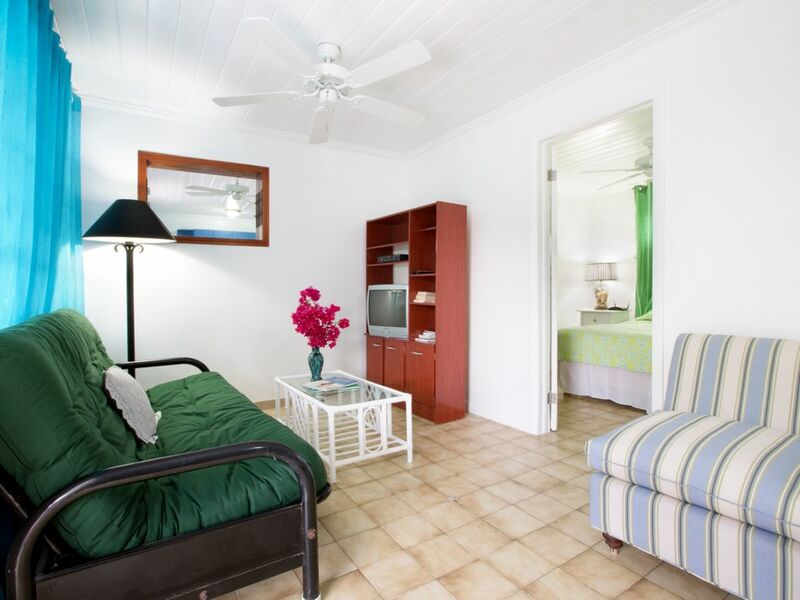 'September Song' is a lovely Bahamian residence with an accommodating one bedroom apartment. This fully-furnished apartment has air conditioning, a ceiling fan, a fully-equipped kitchen, a private bath, T.V. with cable and wifi Internet. Our apartment looks out over our private garden. September Song is conveniently located 1 block south of W. Bay Street, making it easy to catch the number 10 or 12b bus east to the Fish Fry, Junkanoo Beach, or Downtown, or west to Cable Beach, the grocery store, or Orange Hill Beach. 'September Song' will give you a quiet getaway where you can listen to the birds sing, meditate, enjoy a cool breeze or the moonlight. Living in a safe Bahamian neighborhood will give you a taste of the island life! For those of you coming to work downtown, the bus is a great transportation option. It is reliable, coming every 10 minutes and affordable at only 1.25 per ride. The bus runs from 7am-7pm. The host was the best. He was available every time we needed something. He made it convenient for us. The location was great and walking distance from the local attraction. Please do not go with the expectation that this will give you a resort feeling. Although the apartment had a few issue like stain in the toilet and low water pressure, it was a great place if you don’t plan on staying in majority of the time on your vacation. The bed was so comfortable which allowed us to sleep so good. My apology for the water stain..it has been removed. Fantastic location! A easy walk to the beach or short drive to the Fish Fry. Van was friendly and was nice enough to provide a ride to the grocery store the evening we arrived. The property was very well maintained and our room was great. comfortable bed and a much larger bathroom than expected! We’ll be back in Nassau and I would only expect to stay with Van at his property. We (my boyfriend and I) were here for a week - and it was a nice little room. It was close to town but not too close. Short walk to the bus stop which we found very safe and CHEAP! Only $1.25. We had our bus money and rode into town almost everyday. Van took us to the grocery store when we arrived and showed us around, it was nice and helpful! We got some simple groceries - there is a full kitchen so we were able to make whatever we liked. I think this is the perfect little vacation spot for those that don't want the typical touristy vacation. We ended up renting a scooter and going all over the island our last couple days and it was amazing! We went into town and got 1 for the whole day for only $60, it was so fun. The only complaint I have about this place is the shower, there was next to no water pressure, although I'm not sure if they are like that everywhere on the island. It is $3 to do a load of laundry, so be aware and prepared for that if you are planning to do any. There are quite a few cats on the property, so if you're allergic be careful! I am, but I just kept my distance and didn't experience any symptoms. Overall, we had an awesome trip, and Van was super nice! The place was great. Booking and staying with Van was terrific and easy. He was a great guide and source of information. The property was well maintained for the area it is located. For those that haven’t been to the area of Nassau, you may think of it as brochure “Atlantis” but it is not all like that. Be prepared to walk, take the jitney (bus) for $1.25-$2.00 each way as there are no transfer systems, or deal with taxi prices that are not always what you would expect (often higher than posted places so make sure you ask before you get in). Lots of beaches but many are littered with garbage, even though we did see staff trying to keep them clean. Saw some sea life out at Goodman’s Harbour and collected shells at Saunders Beach. Love Beach is nice for the day but be prepared to hear planes overhead every few minutes throughout your stay. Most places charge for water so pack around a water bottle if you can. If you are taking a trip to see the pigs, be sure to do your research and find out exactly which pig island you are going to, as they are not all the same! We took a trip to Exumas to see the pigs and endured long wait time and a short stay with a few pigs. If you do go to Exumas, rent a car at the airport as the driving there is pretty straight forward (unlike Nassau) and will cost a lot less than the taxis on the island. Avoid going on a Sunday as most businesses are closed. Enjoyed the sunshine and time away with family. Again, Van was a terrific guy and I would recommend staying with him if you want to experience life with the locals rather than a resort type stay. Quiet neighborhood. The host, Van, was great. He was nice enough to bring us to the store the day of arrival. The was a power outage but no more than 15 minutes within that time then came to check on us to make sure everything was fine. We had drinking water already set up for our use, clean towels, clean sheets, cable tv, iron, working appliances. What more could you need? The apartment was clean and spacious. The AC work great it had the room freezing at times but could easily be adjusted. The internet work great. The apartment was closes to fish fry, about a 10 to 15 walk. Downtown was about a 5to7 minute drive. We took public transportation which was $1.25 to ride. Located just off West Bay Street, our property offers convenience and comfort during your stay. A short walk up the street takes you to Saunders beach, where you can spend a lazy afternoon soaking up sun. Just across the street from the beach are restaurants, a pharmacy and beverage store. All of the featured attractions of the island are only a short walk or easy bus-ride down Bay Street including the Ardastra Gardens and Zoo, Fish Fry, Haynes Oval Cricket Field, Forte Charlotte, and premier Cable Beach. The number 10 bus comes every 10 minutes and for the price of $1.25 will take you east to the shopping and dining district downtown or west to the resorts and restaurants around Cable Beach, and beyond to the Pirate Caves and secluded Orange Hill Beach. For those seeking to enjoy an afternoon of luxury on Paradise Island, a ferry boat can pick you up from downtown or, for the adventuresome; it is a 3 mile walk away.